Implementing the Extended Life Plasma protocol – how to reduce wastage and keep your clinicians happy, it’s easier than you think! The Royal Children’s Hospital, Melbourne (RCH) introduced the use of Extended Life Plasma (ELP) in December 2012 following extensive in-house safety and efficacy testing. The Royal Children’s Hospital maintains an inventory of 2 units of group AB ELP for use when the Massive Transfusion Procedure is activated or for situations where thawed plasma is required without delay. 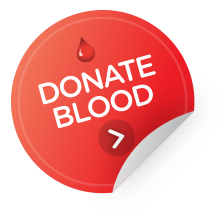 Unused, thawed plasma of any blood group is also converted to ELP if the criteria is met. As a result of implementing an ELP protocol, the laboratory at the Royal Children’s Hospital can not only provide thawed plasma in a timely manner but has also significantly reduced the wastage of unused thawed fresh frozen plasma across all clinical areas. What is Extended Life Plasma? Extended Life Plasma (ELP) is thawed Fresh Frozen Plasma (FFP) which can be stored between 2° to 6° Celsius for up to 5 days from the time of thawing. FFP contains varying amounts of coagulation factors and is stored frozen until required for transfusion when rapid provision is limited by the time taken for thawing. Thawed plasma is used to treat patients who are haemostatic abnormalities, usually in the context of bleeding. The availability of ELP in inventory allows the provision of thawed plasma with minimal delay. Who Are the Royal Children's Hospital? The Royal Children's Hospital, Melbourne (RCH) is a major specialist paediatric hospital in Victoria, providing a full range of clinical services, tertiary care and health promotion and prevention programs for children and young people. The hospital is the designated state-wide major trauma centre for paediatrics in Victoria and a nationally funded centre for cardiac and liver transplantation. Its campus partners are the Murdoch Children’s Research Institute and The University of Melbourne Department of Paediatrics, which are based onsite with the hospital. Laboratory Transfusion Services at the RCH are provided by Laboratory Services with a 24 hour blood bank operating within the Core Laboratory. Clinical transfusion advice can be obtained from the Haematologists within Laboratory Services. Ms Mary Comande is the senior scientist in the transfusion laboratory at the RCH. Australian and New Zealand Society for Blood Transfusion (ANZSBT). 2013. Extended Life Plasma: A Framework for Preparation, Storage And Use. Second Edition. Australian & New Zealand Society of Blood Transfusion Ltd., Sydney.